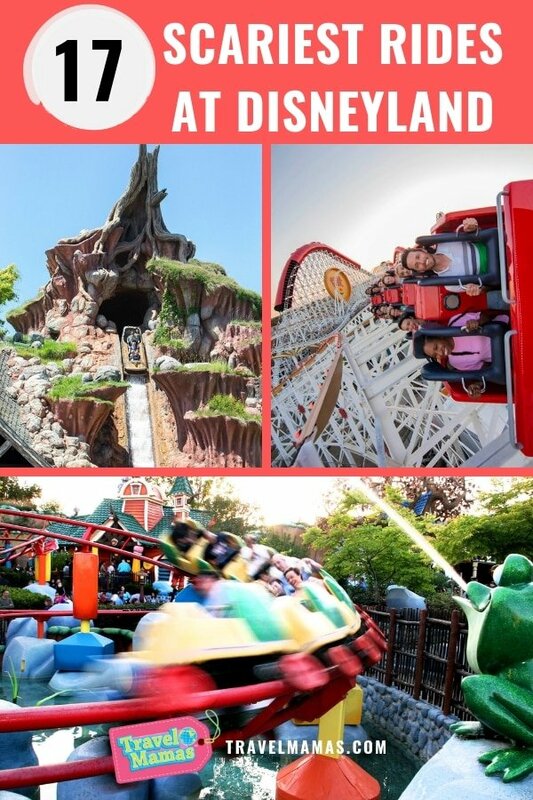 Disneyland is best known for sweet characters and rides that please kids and kids-at-heart. But there is a more intense side to Disneyland that even the most adventurous thrill seekers can appreciate. The fear factor isn’t just about speed, either. Plundering pirates, pretend poisonous snakes, and ghostly ghouls can make rides seem super scary to kids. Buckle your lap belt because we’re taking a look at the scariest rides at Disneyland and Disney California Adventure, ranked for families. 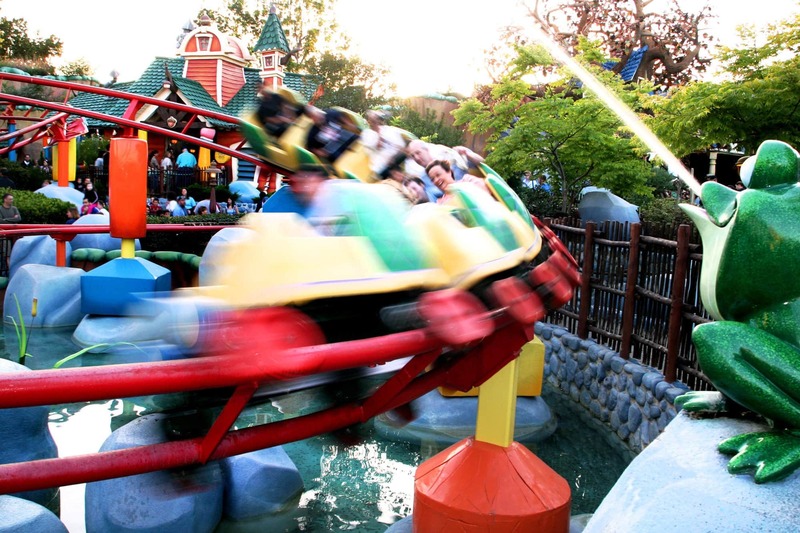 Are these the scariest rides at Disneyland for your family? Location: Hollywood Land in California Adventure. FASTPASS available. Minimum height: 40 inches. Long-time fans of Twilight Zone Tower of Terror were horrified when their beloved thrill ride left Anaheim. Now it’s back at California Adventure Park and scarier than ever as Guardians of the Galaxy Mission: Breakout. The theming is less creepy and more playful. The ride’s free-falls, however, have become less predictable, more chaotic and more scream-inducing. Join Rocket the raccoon hero on a mission to release his fellow guardians from the movie series’ villain, Taneleer Tivan—a.k.a. The Collector. It’s not a roller coaster. Rather, this attraction takes riders to the middle and top and middle of the tower again and again. It drops riders at speeds up to 39 miles per hour. Did I mention that the biggest drop is a whopping 130 feet? If you’ve got kids who love the movie but shy away from scary rides, I’d warn them that this ride makes grown-ups scream and cry involuntarily like babies, as you can see in the video of yours truly below. For a more mellow version of the same dropping sensation, go for a ride on Jumpin’ Jellyfish in Pixar Pier in California Adventure (40-inch height restriction). If your kids or you don’t like that one, do not attempt Guardians of the Galaxy Mission: Breakout! Location: Pixar Pier in Disney California Adventure. FASTPASS and Single Rider Line available. Minimum height: 48 inches. Zip through the world of The Incredibles as you chase Jack-Jack on this themed coaster. Formerly California Screamin’, the updated ride still takes off with a blast, going from zero to 55 miles per hour in four seconds. This speed makes it the fastest attraction at Disneyland Resort and one of Disney’s fastest coasters anywhere. 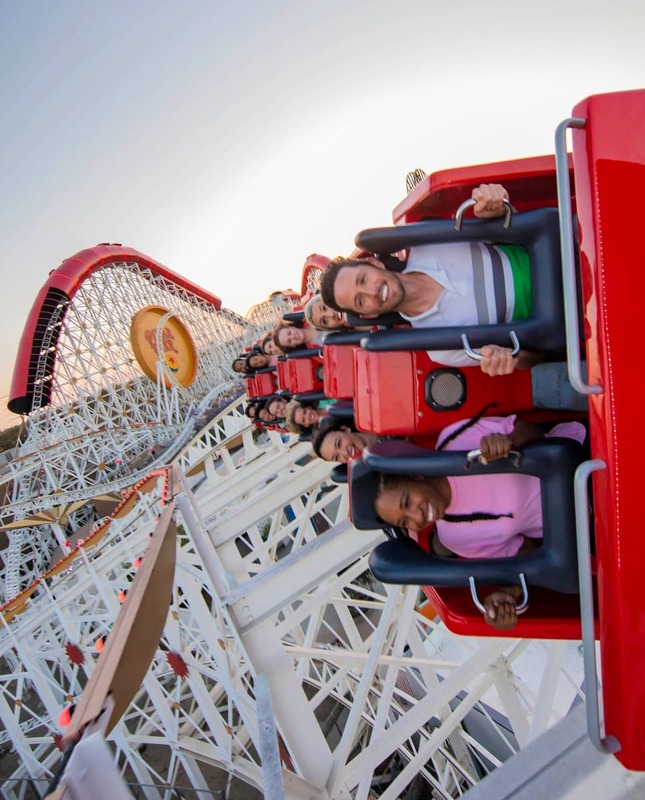 Incredicoaster is also the only roller coaster that does an inversion in the California Disney parks. Location: Tomorrowland in Disneyland. FASTPASS available. Minimum height: 40 inches. Although Space Mountain tops out at a fairly mellow 28 miles per hour, riding in darkness increases this ride’s scary factor. Would-be astronauts launch into a faux outer space, experiencing rapid turns in utter blackness, save for some twinkling stars and effects. You can’t see where you’re going next, which provides an extra dose of thrill. There are no significant declines, though. 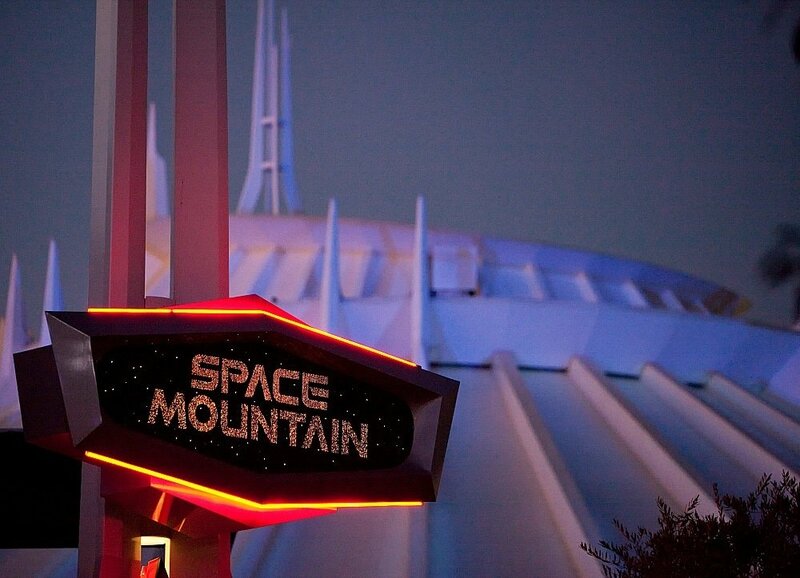 If you loathe that sinking feeling in your stomach caused by big drops, then Space Mountain may be for you. Location: Pixar Pier in Disney California Adventure. FASTPASS available. Minimum height: 42 inches. This sweet-looking coaster is surprisingly terrifying. 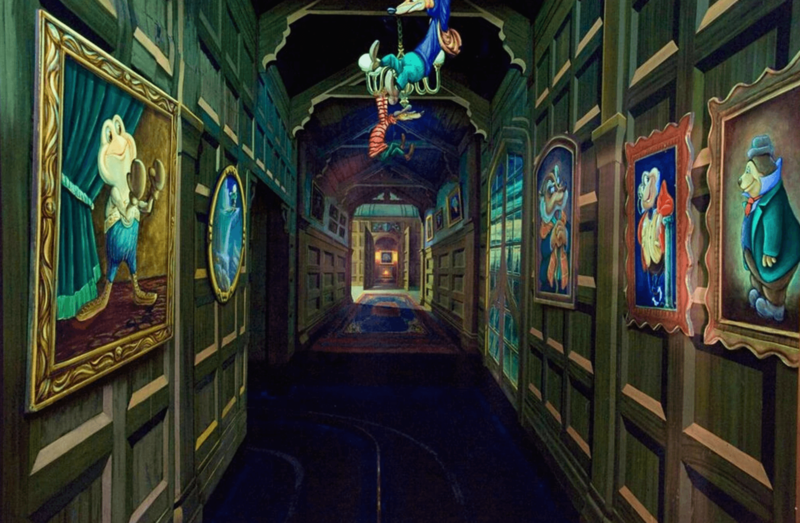 Goofy’s Sky School‘s top speed is just 27 miles per hour. Jolting turns and odd seating, however, make you feel like you’re going to fall off the ride at any moment. Location: Fantasyland in Disneyland. FASTPASS and Single Rider Line available. Minimum height: 42 inches. Beware of the Yeti! 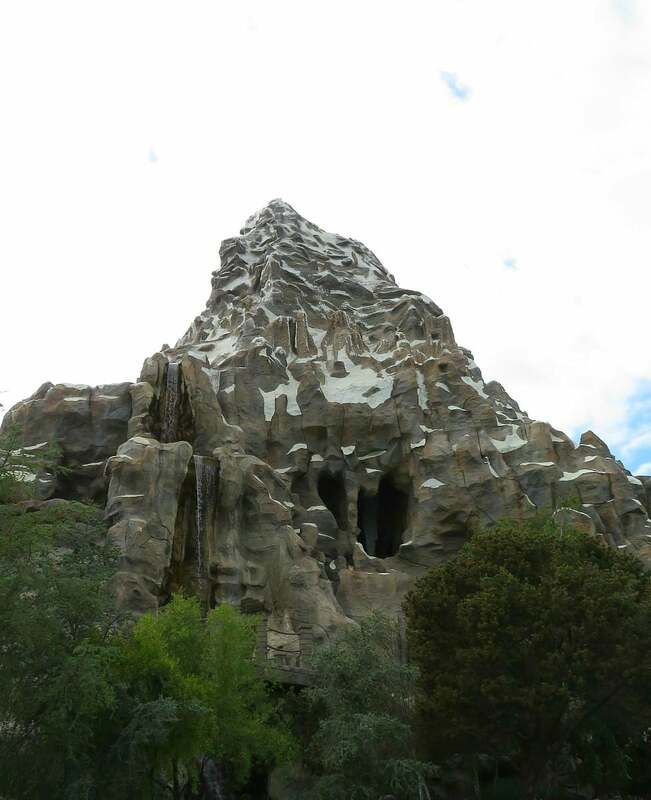 At just 27 miles per hour, it’s not necessarily the speed that will scare your kids on Matterhorn. An abominable snowman creature pops up and growls at riders on Disneyland’s oldest roller coaster. Plus, it’s a pretty jerky ride. Location: Critter Country in Disneyland. FASTPASS available. Minimum height: 40 inches. For the most part, Splash Mountain is a mellow journey through the 1946 film, Songs of the South. It ends, though, with a 50-foot drop, plummeting at 40 miles per hour. There are no seat belts, so hold on tight and brace yourself for a big splash. My husband and I convinced our kids to ride this with promises of ice cream when they were ages 5 and 8. Years later, I think they may be ready to forgive us. 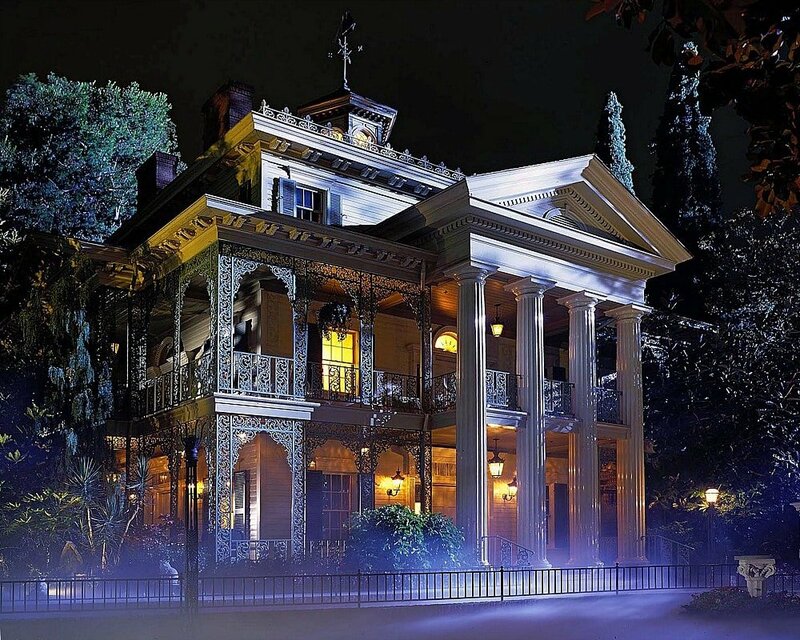 Location: New Orleans Square in Disneyland. No height requirements. The scariest part of this ride is the hanging body that dangles above your head before you even board. If riding with youngsters, tell them NOT to look up and cover their eyes while in the mysteriously stretching room. After the spooky start, you’ll board slow moving cars for a tour of a mansion and graveyard haunted by some fairly creepy ghosts. I was positively horrified by this ride at age 4, when I believed in all of the magic of Disney — Mickey Mouse, ghosts and all. If you’re not sure if your kids can handle this one, give it a go during a fall visit to Disneyland. That’s when the ride transforms into the more playful Haunted Mansion Holiday with Jack Skellington and other characters from The Nightmare Before Christmas. 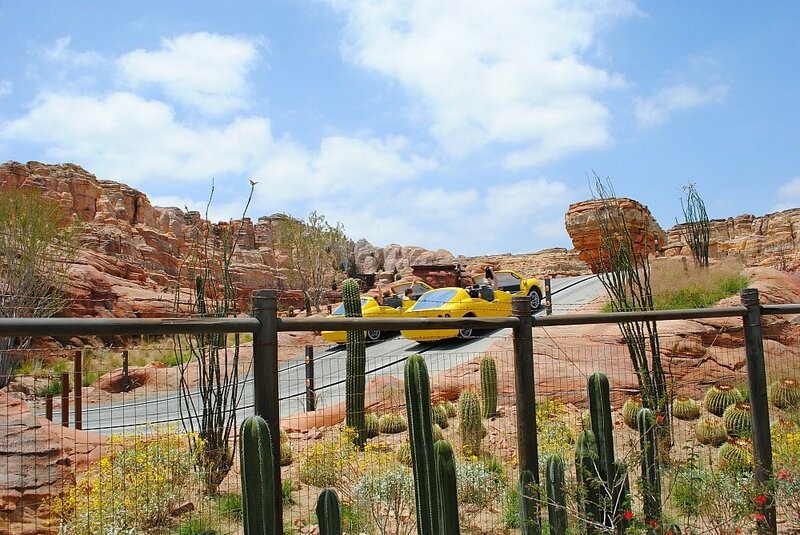 Location: Cars Land in Disney California Adventure. FASTPASS and Single Rider Line available. Minimum height: 40 inches. Radiator Springs Racers go up to 40 zippy miles per hour, but there aren’t any huge drops or creepy elements to this ride. Sitting in race cars from the Cars movie series, riders take a low-key spin through Radiator Springs complete with a turn inside Ramone’s House of Body Art or Luigi’s Casa Della Tires. Then it’s time for a race, with a different winning car each time. Despite the speed, most kids will like this one. Just make sure they meet the height requirement before investing in a very long wait. Check out my video of this ride above. Due to its popularity, expect long lines for Radiator Springs Racers. If traveling with teens or brave older kids, you may want to do the Single Rider Line. Or, use Disney California Adventure Max Pass to cut wait times. Location: Frontierland in Disneyland. FASTPASS available. Minimum height: 40 inches. 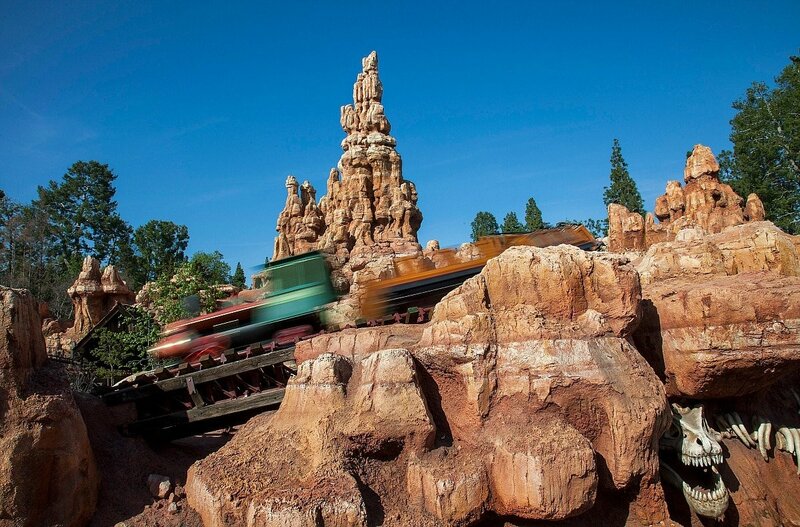 The most easy-going of Disneyland’s full-sized roller coasters, Big Thunder Mountain Railroad makes a good choice for the whole family to ride together if everyone meets the height requirement. At 40-miles-per-hour, it’s faster than some of the other coasters but there aren’t any crazy drops, loop-the-loops or scary characters. Plus, it’s a train. And all kids love trains! Pirates of the Caribbean is another one that terrified me as a kid. Pirates shoot (fake) guns right at you. Smart kids probably should be a little afraid of this one. And then there’s the creepy voice howling, “Dead men tell no tales.” There are a couple of drops in the dark at the beginning of the ride, too. Location: Adventureland in Disneyland. FastPass available. Minimum height: 46 inches. This ride doesn’t go extremely fast, but it’s quite the adventure with lots of twists and turns. Make believe snakes and bugs add an ick factor. Then there’s a giant boulder that looks like it’s going to crush your vehicle. 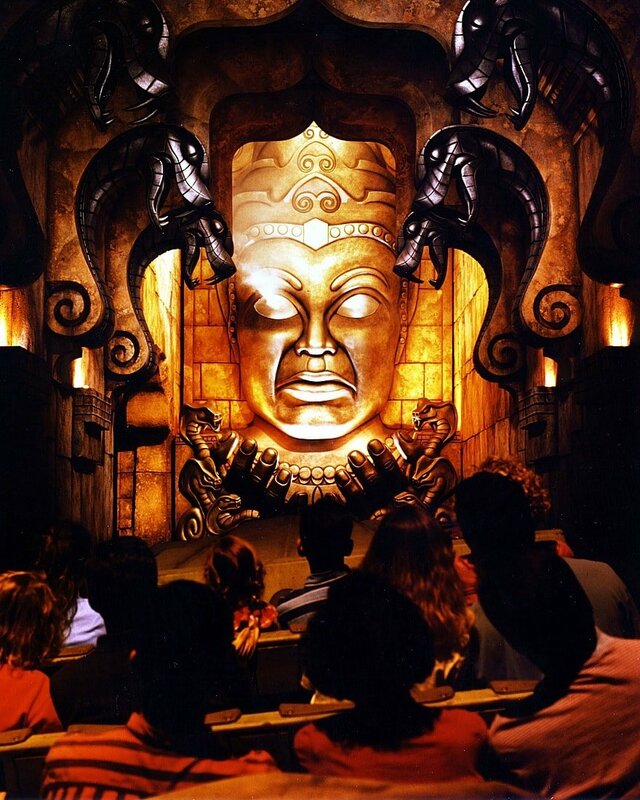 The scariest thing about Indiana Jones Adventure may be how often it breaks down. Seriously, beware that wait times often stretch on and on if something falls on the track and must be retrieved before riding can resume. Location: Grizzly Peak in Disney California Adventure. FastPass available. Minimum height: 42 inches. Want to try whitewater rafting but aren’t sure if you can handle the adrenaline rush? Take a spin on Grizzly River Run to see if you’ve got what it takes. There are a few drops, but nothing overwhelming. The fear of getting doused with water from mini waterfalls adds to the fun, unless you’re the only one who gets wet. It always seems like there’s one passenger per raft that gets doused, much to everyone else’s delight. That can be super funny if it’s daddy getting soaked. Or it could cause a major meltdown if your child is the one who has to walk around with soggy socks for the rest of the day. Location: Fantasyland in Disneyland. No height requirements. 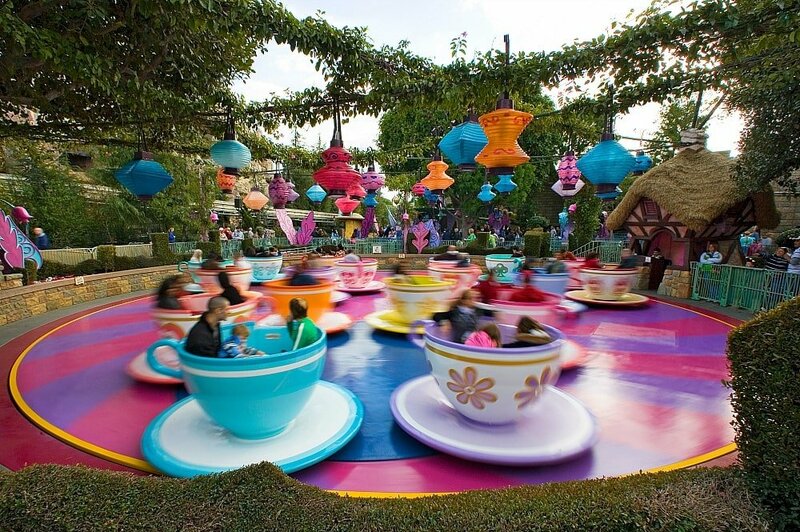 Children and adults who have no fear of motion sickness will enjoy spinning in circles in a giant tea cup on the Mad Tea Party. Kids’ sense of equilibrium tends to readjust faster than it does for us old folks. Keep that in mind before you grab the wheel and send your family into a tizzy. Location: Cars Land in Disney California Adventure. Minimum height: 32 inches and accompanied by another rider 54 inches or taller. 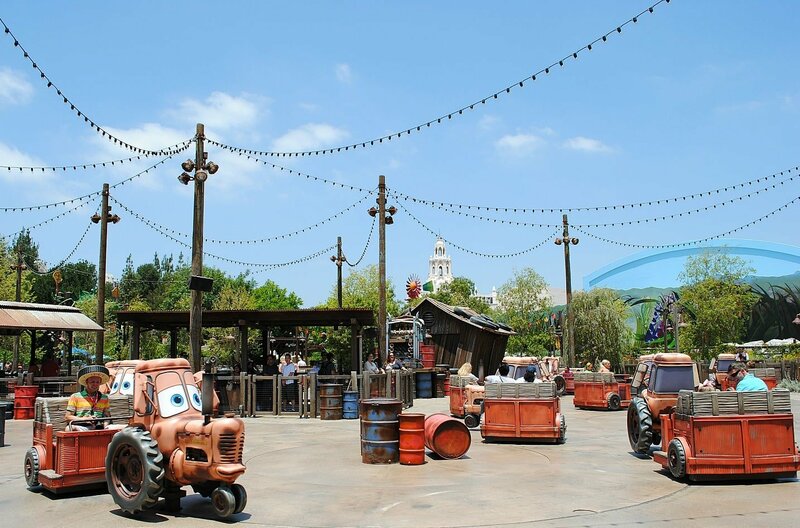 Similar to a Tilt-A-Whirl, Mater’s Junkyard Jamboree sends riders spinning in crazy circles. It’s less dizzifying than the Mad Tea Party, though. And in my family’s opinion, it’s a lot more fun. Cars character favorite Mater sings a square dancing song while you zig this way and zag that way. Location: Mickey’s Toontown in Disneyland. Minimum height: 35 inches. If you want to coax your children to brave their first thrill ride, Gadget’s Go Coaster makes a good starter coaster. At its fastest, it goes a reasonable 21.7 miles per hour. Plus it’s a short ride. Even timid riders can handle 44 somewhat thrilling seconds. Mr. Toad’s Wild Ride typically has a shorter queue than the rest of the rides in Fantasyland. And for good reason. It’s scary. When my son was a baby, I strapped him into his Baby Bjorn and took him on this ride. Bad idea! He clawed at my face in fear with his little baby nails the whole time. Why? First of all, it’s super dark. Second of all, the storyline is freaky and unknown to most kids and adults. It’s based on the 1949 Disney movie, The Adventures of Ichobod and Mr. Toad. Expect jerky movements, loud noises, and a heated room filled with devils. 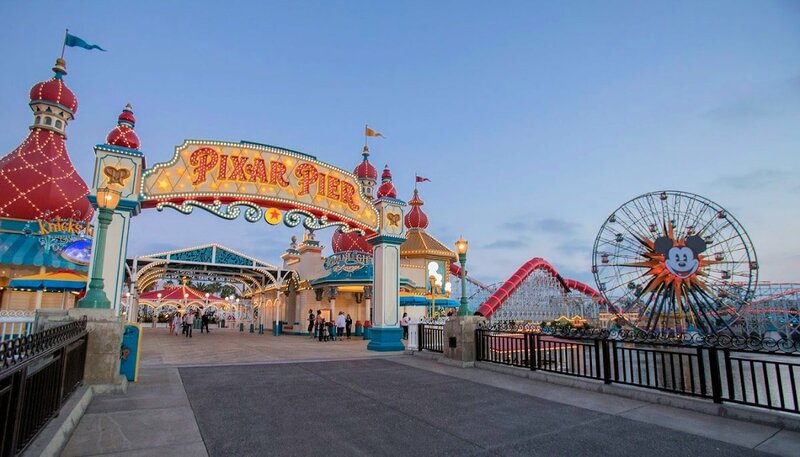 Location: Pixar Pier in California Adventure. No height requirements. Formerly known as Mickey’s Fun Wheel and the Sunwheel prior to that, those who fear heights will have a tough time at the 160-foot top of Pixar Pal-A-Round. 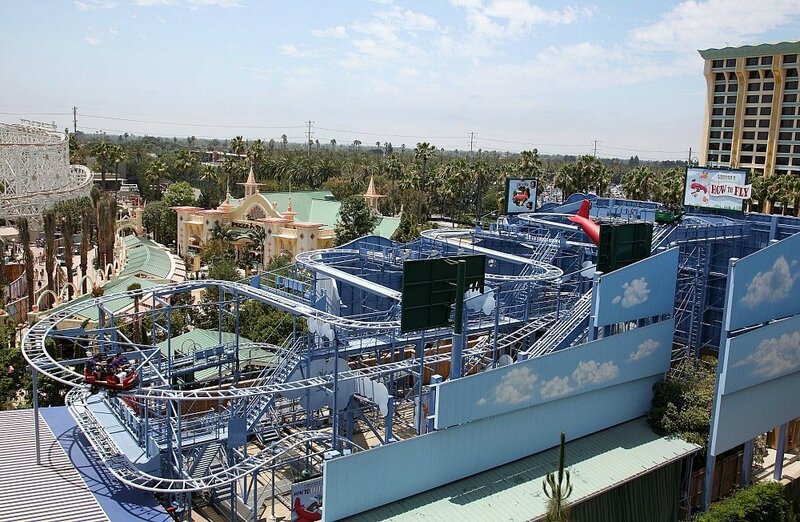 For the rest of us, it’s an easy-going and fun way to get a bird’s eye view of California Adventure Park. Control freaks and motion sickness sufferers should avoid the swaying gondolas. The line for the fixed gondolas tends to be much shorter anyway. This is the only ride that made both our Disneyland scariest rides list as well as our list for best attractions for babies and toddlers at Disneyland. Ironic, I know. It really depends on your definition of scary. Of course, the make-believe factor will freak out little ones on rides that adults find innocuous. Incredicoaster is a bit too fast and loopy for my liking, but Space Mountain is my all-time favorite. My daughter loves Incredicoaster but hates that Yeti on the Matterhorn. Meanwhile my 75-year-old mom refuses to ride any roller coasters anywhere ever besides Space Mountain and Big Thunder Mountain Railroad because they lack significant hills. Scariness truly is in the eye…and the stomach…of the beholder. Be sure to save this list for future reference. Just pin the image above to Pinterest. Go ahead and follow Travel Mamas on Pinterest while you’re at it! What do you think are the scariest rides at Disneyland and Disney California Adventure? Let us know in the comments below! 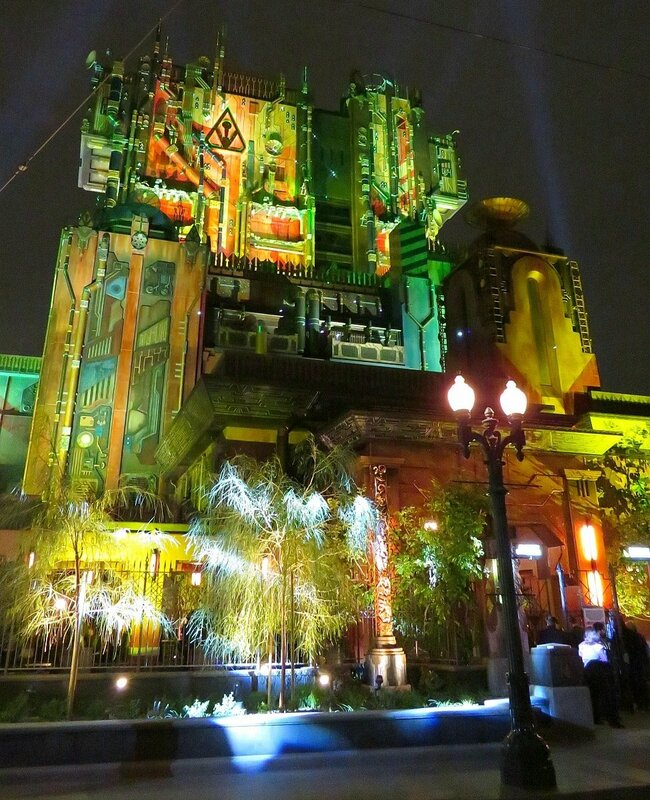 A Note from The Travel Mama: I attended a Guardians of the Galaxy Mission: Breakout media event in 2017 at Disneyland. All opinions are mine, as always. LOL – Disney has a scary side after all! 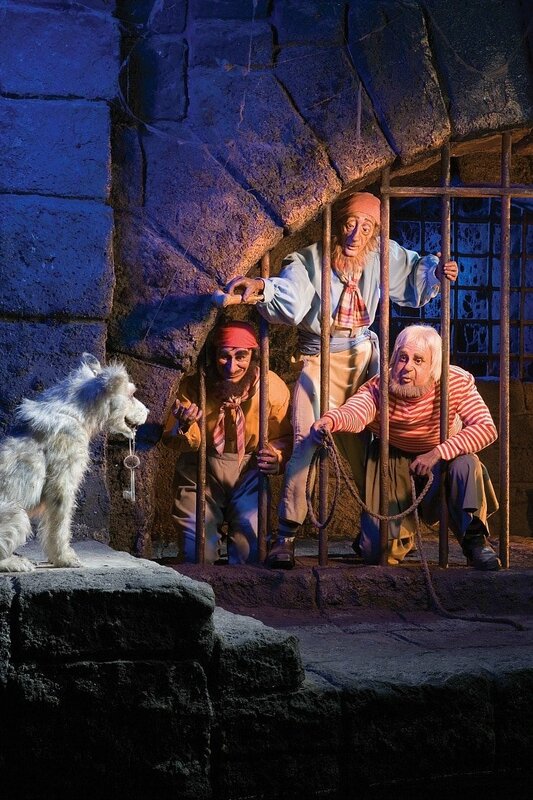 Excellent write-up that will be enjoyed by all Disney park lovers ( and who isn’t ). The video on the Cars ride made me feel like I was actually enjoying the motion. Thanks! 🙂 Leo was so afraid I would drop my phone while recording that video! For me, it’s Splash Mountain. Or Tower of Terror. I don’t like to drop, so those terrify me. I will not go on Tower of Terror. I don’t like the feeling of my stomach in my throat. It just doesn’t do it for me. My husband and kids will ride that stuff all day, though. I am dying to go to Disneyland with my son. I am thankful that there are posts like this so I know there are rides to avoid with him when we get there. I would add Snow White’s Scary Adventures to this list. While it’s a kid ride, the evil queen and evil hag scare the crap out of kids and there is always screaming when we go on the ride. All though I’ve learned that there will always be a kid scared of EVERY ride at Disneyland. We were once on a boat with a kid who was screaming and crying on the Storybook Canal Boats because of Monstro and another kid screaming on Dumbo because it flies and they had to put theirs all the way to the ground. Disneyland is such a great place for families. My son was one of those kids who was afraid of every ride when he was little. As a baby, we brought him on most of the rides at Fantasyland and rides like Pirates of the Caribbean but once he was able to speak…he refused to even go on a carousel for years. We spent a lot of time watching the shows and parade at Disneyland during those years! Love your list. We are definitely a Disney family through and through. I love that you have shared these like this! It is good to know so that when you have a group you know which to ride. Yes, it’s always good to have a ride plan before you visit Disneyland. You definitely want to maximize your fun time! I never really thought of Disney as having scary rides but I guess they do. Nice ranking system! Thanks, Jenn! There certainly are some scary rides at Disneyland if that’s your thing. Of course, you could always avoid these rides and go the mellow route, for sure. I may be old school but Space Mountain is a classic and still delivers a good jolt to this day. What a fun list! I am with you, Jenna. Space Mountain is my all-time favorite! I would enjoy going on all of these rides. I love all kinds of rides, especially those that are thrill rides. I haven’t been to Disneyland before, but I have always wanted to go there. Oh my, Kathy! I hope you can visit Disneyland very soon! 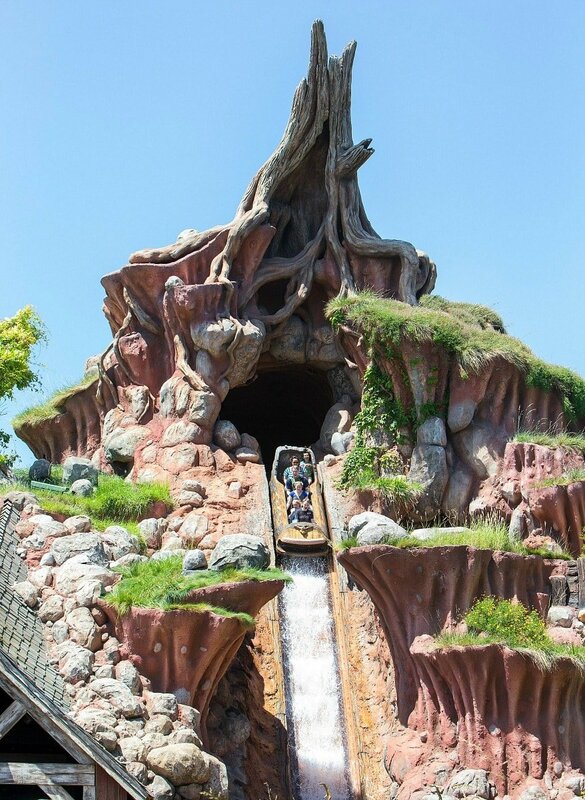 I have always wanted to ride Splash Mountain. To me, it looks mega fun and right up my alley. It’s a great ride, especially on a hot day! Thanks for ranking these rides by how scary they are. Now my kids know exactly which rides to go on! Great! Enjoy all the scary rides with your kids! This is a great guide fr people with younger children. I loved Guardians of the Galaxy Mission. I was one of my favorites. We are excited to go to Disneyland this year. The kids are teenagers now and love the rides. Elizabeth – It’s so funny how the Disneyland experience changes as our kids get older, isn’t it?! This is good to know for when bringing the family. I hate when its behind closed doors and you dont know what to expect. Glad to be able to provide some tips on navigating which rides will work or not work for your family, Tess! Reading this has made me feel like heading to Disney immediately for some awesome rides! I know I loved Space Mountain when I was a kid but there are bigger and better rides now for sure. If you love thrill rides, you’ll have to give Guardians of the Galaxy Mission: Breakout and California Screamin’ a try! Mangesh – It has been about 20 years since I visited Disneyland Paris. I hope I can visit again soon! This is such a great list! My son loves all the thrill rides too so I get to have a buddy! So great that you and your son can enjoy Disneyland’s scariest rides together! My daughters would love these rides. They enjoy the thrill of it all. I am definitely not one for scary rides. Motion sickness gets the better of me. They look like fun. The Haunted Mansion and Pirates of the Caribbean sound like more your speed, Sherry! When I first visited Disneyland as an 8-year old the 1970s, my mother did not allow me to go on the Snow White ride. I resented that omission for YEARS, until I went back as a newly-married adult 20+ years later. I went on that ride, and realized that my mother had been right all along. I would have been terrified and nightmare-ridden if I’d done that ride all those years ago! Oh my. I’ve heard other people say that they’re terrified of that ride. 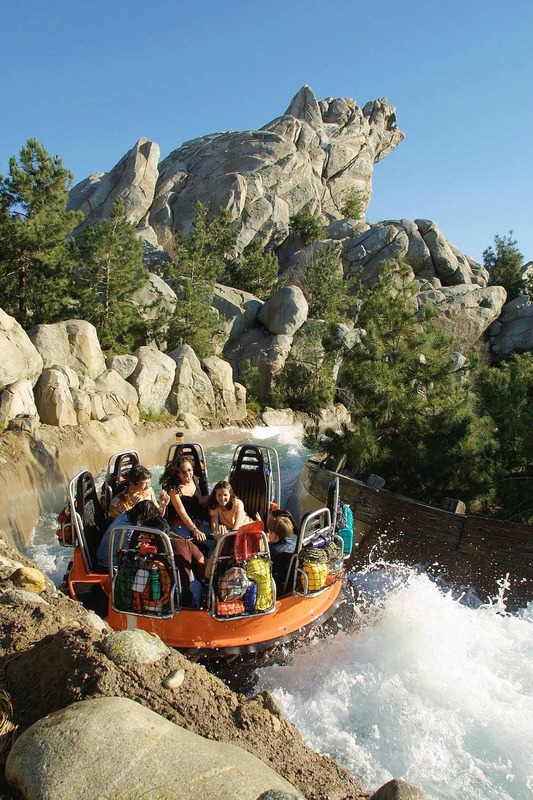 Maybe I should add it and change the list to “18 Scariest Rides at Disneyland”! Have you ridden Mr. Toad’s Wild Ride? In my opinion, it’s the scariest of the Fantasyland dark rides! Awesome list. I would agree that the Guardians of the Galaxy ride should be #1, although I never technically rode it (only rode it when it was The Tower of Terror). I love quick read lists like these, thanks for sharing!